The Komet™ 29 picks up where the Komet 19 leaves off. Essentially the same tonal circuit and signature, but with four EL84/6BQ5 power tubes instead of two, and much bigger iron. Contained in the same small package as the Komet 19, the Komet 29 packs significantly more bottom end, higher headroom, and a larger sound stage. The added muscle of the Komet 29 gives it a louder clean sound compared to the Komet 19 — it also makes it even more dynamically responsive. The amplifier responds to your touch superbly, with notes that bloom into harmonic feedback at will. The Komet 29 is unlike any low-wattage amplifier you’ve played — extremely powerful, with rich harmonic layers and three dimensional sound. Its unique and proprietary “Thrust” control fine tunes the amplifier’s response to your guitar’s output and personal tonal preference. Lower settings allow for maximum clean headroom, while turning the Thrust up thickens the tone and increases harmonic distortion for a more saturated lead tone. It also helps anemic guitar pickups to drive the amplifier’s output stage into natural compression. 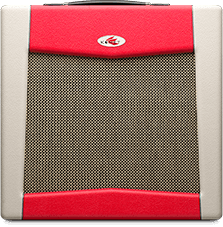 With 29 Watts of Komet power, The Komet 29 will not get lost in a band situation. Another facet of the Komet 29’s voicing is that is easy to record — it has been used in many major studios, and recording engineers always remark on how amazing it “goes to tape”. 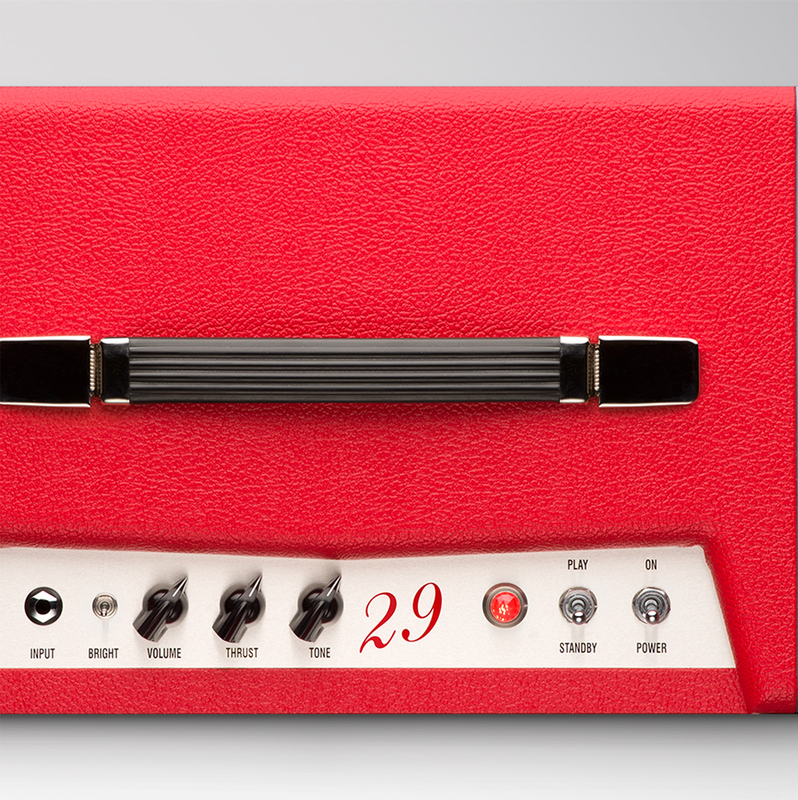 A three position bright switch allows the user to fine tune the amplifier’s treble content to their preference. Conveniently light weight and portable, the Komet 29 is powered by four of cathode biased EL84 / 6BQ5 output tubes. The pre amp incorporates two 12AX7 tubes. Meticulously assembled with only the best sounding and most reliable parts. Meticulously assembled with only the best sounding and most reliable parts.